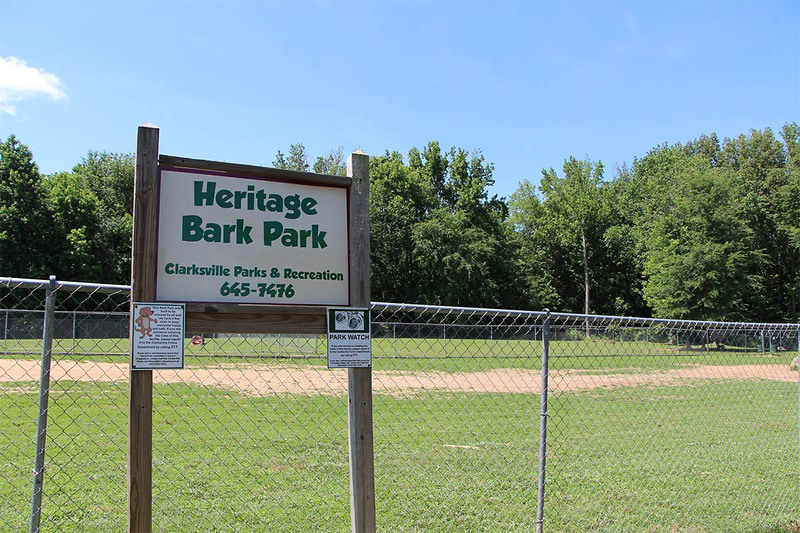 Clarksville, TN – The Clarksville Parks and Recreation Department reports Heritage Park Bark Park, 1241 Peachers Mill Road, will be closed until further notice because of a maintenance issue. Parks and Recreation is working to make repairs and hopes to reopen the facility this afternoon. 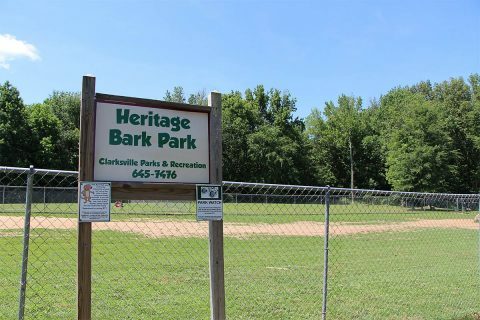 Clarksville Parks and Recreation closes Heritage Park Bark Park for maintenance. 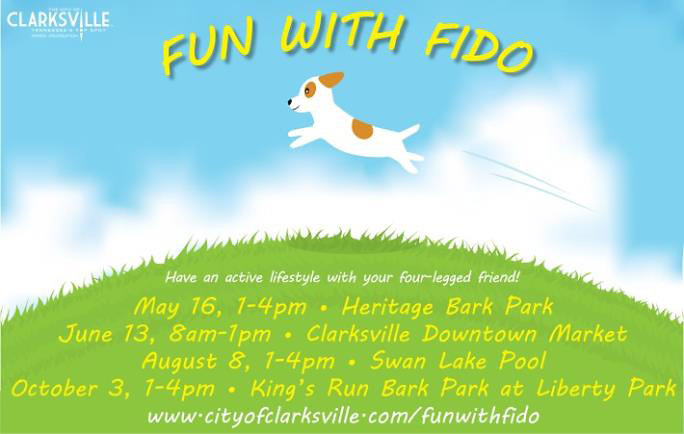 Clarksville, TN – Clarksville Parks and Recreation is excited to host Fun with Fido, a free event series for you and your four-legged family member. 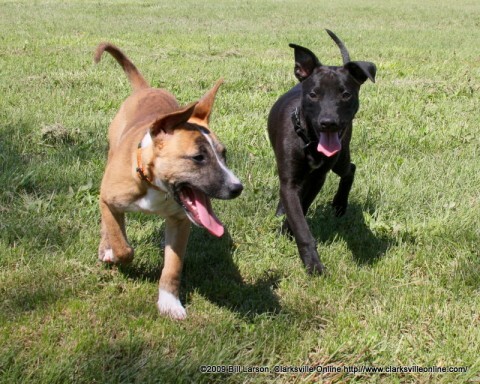 The season will kick-off at Heritage Park Bark Park, 1241 Peachers Mill Road. Join us from noon to 2:00pm Saturday, May 13th for a tail-waggin’ good time of contests, prizes and dog-related vendors. This weeks highlights include: Rally on the Cumberland, Clarksville Downtown Market and Fun with Fido. 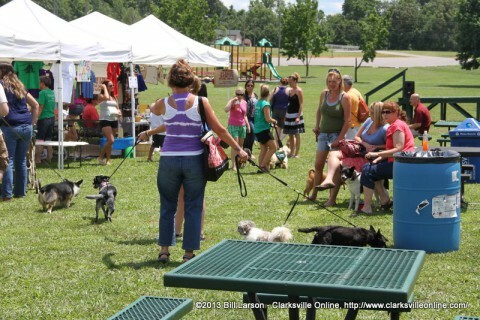 The season will kick off at Heritage Park Bark Park, located at 1241 Peacher’s Mill Road, Saturday, June 25th. 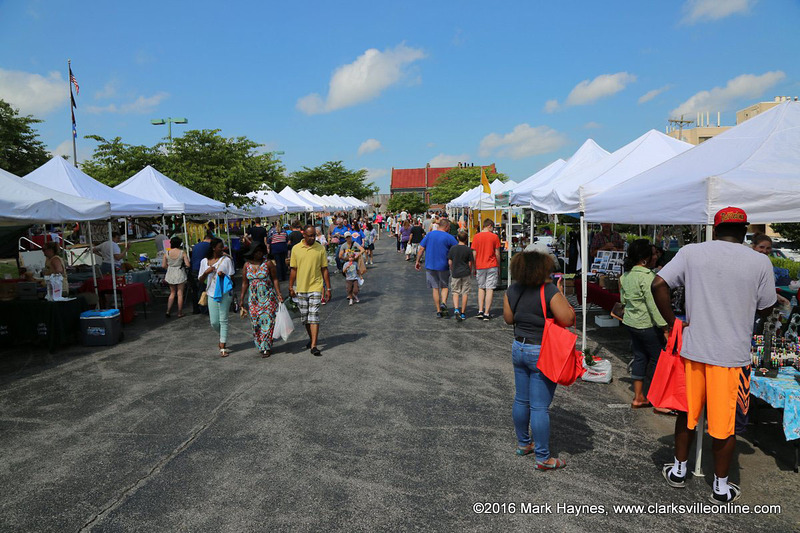 Join us from 1:00pm to 3:00pm for a tail-waggin’ good time of contests, prizes and dog-related vendors. Clarksville, TN – Clarksville Parks and Recreation is excited to host the summer event series, Fun with Fido, to promote an active lifestyle for you and your four-legged family member. Fun with Fido, will kick off its season with a tail-waggin’ good time of contests, prizes and dog-related vendors at Heritage Park Bark Park from 1:00pm to 4:00pm, Saturday, May 16th. 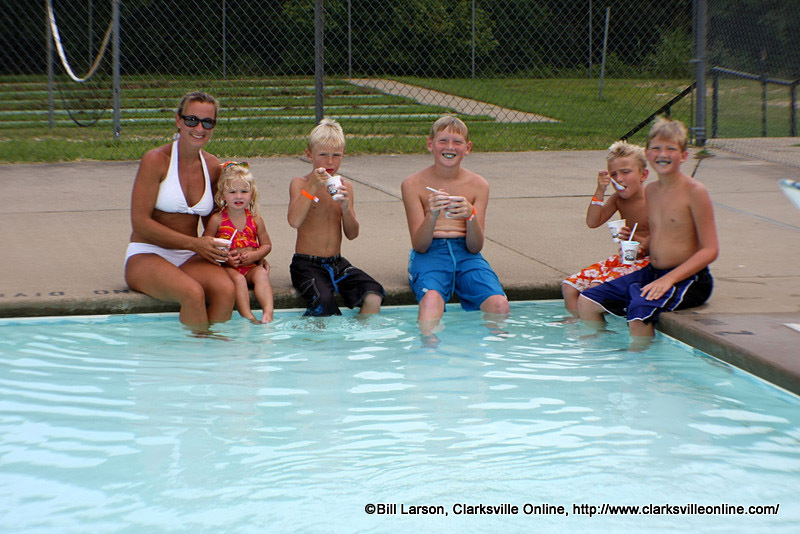 Clarksville, TN – Clarksville Parks and Recreation is excited to host Fun with Fido, the summer event series to promote an active lifestyle for you and your four-legged family member. Clarksville, Tn – Clarksville Parks & Recreation & Gateway Realty/A+ Property Management is excited to host Fun with Fido, a new event series to promote an active lifestyle for you and your four-legged family member. 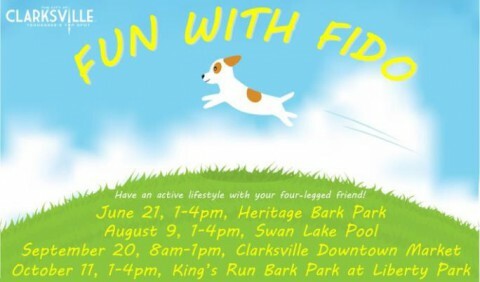 Clarksville, TN – Clarksville Parks and Recreation and Gateway Realty/A+ Property Management is excited to host Fun with Fido, a new event series to promote an active lifestyle for you and your four-legged family member. This weeks highlights include: City Pools Now Open, Summer Youth Program Registration Opens May 27th, *NEW* Fun with Fido and Sleep Under the Stars rescheduled. 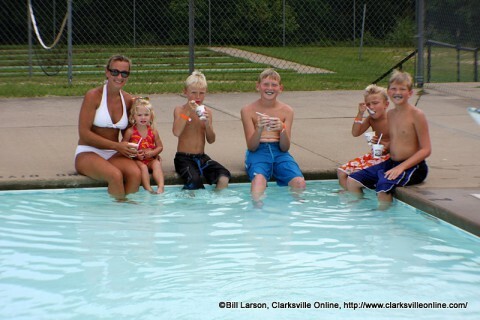 City of Clarksville Swimming Pools Now Open. 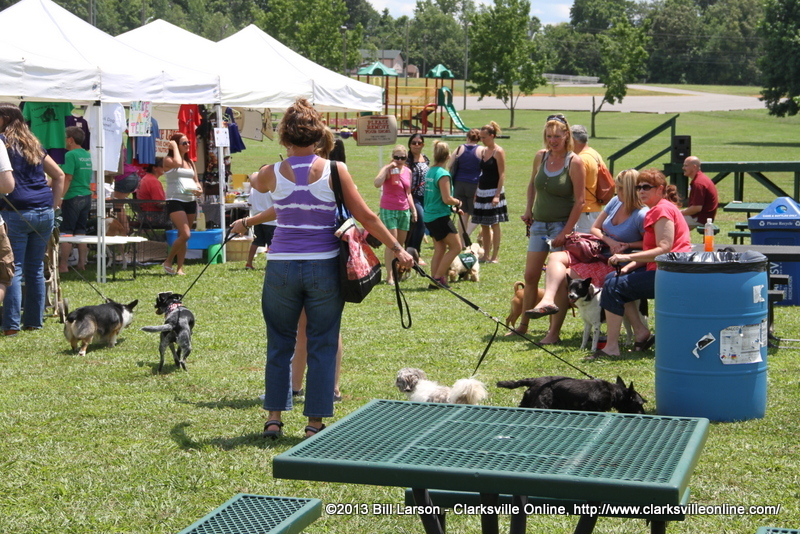 Clarksville, TN – This weekend was the Clarksville Department of Parks and Recreation’s sixth year doing Doggie Palooza, a celebration of all things dog! The event is held each year At Heritage Park’s Bark Park, and features a day full of demonstrations, contests, prizes, and much more! But more importantly it is an opportunity for dogs and their owners to socialize with other dogs and their owners.